Chuunibyou (中二病, 廚二病) or the 2nd year of the middle school disease, yet to be recognized by the APA, is a pandemic phenomenon. Otakus of the world are falling victims to this fatal disease. I was reading one of the greatest articles by Rev. Gendomike, That Summer, I waited, a diary of one summer when he was 14. And he goes on to confess in his article that he tried to impress a young beautiful Sunday School teacher by showing off how biblically knowledgeable he was. A typical Chuunibyou patient! So, how did this epidemic start? A conventional theory tells that Chuunibyou was first stipulated by Ijuin Hikaru, a fat Japanese comedian, in the late 1990s. But I differ respectfully. My theory is that it was first stipulated by Fyodor Dostoyevsky! Yes, 14 years old! Exactly the age of Chuuni, the most pathetic pedant! Kolya is the first Chuunibyou patient recognized in our human history. Yes, maybe Ijuin was the first one to name it. But the symptom was first recognized by Dostoyevsky! Yes, me too. When I was a chuuni, I also started listening to the Beatles, just to be different, to do away with my immature past, or in a more conceited way, to be a chosen one, a revolutionary, or an activist who was going to change the world. So, I identified myself with John Lennon, just like that middle-aged teacher asked a janitor from that classic teen film The Breakfast Club, “What did you want to be when you were young?” And the janitor answered, “I wanted to be a John Lennon!” A typical chuuni! And I remember some of my other classmates started listening to punk rock, and imagined themselves as anarchists. “I…I’m hopelessly an anarchist (I’m so cool~, don’t you think? ).” I wonder if they still see themselves as anarchists today. Yes, like Gendomike, I also had a crush on a young beautiful music teacher in my school years (when I was 17), and I really wanted to show her my protest lyrics I wrote as a future John Lennon. “I…I’m helplessly a lyricist.” But that chance never came, since I was a generic student falling behind school dudes already swarming all over her. So, I couldn’t fulfill my chuunibyou desires like Gendomike, showing his original novels to his beautiful teacher to get her approval. “I…I’m helplessly a novelist.” But I continued to write lyrics as if I was going to be the most famous chuuni star! But unfortunately, probably the most famous, notorious, and the worst chuunibyou from Japan was Sakakibara Seito, who murdered children for his new founded “religion” in Kobe. That was back in 1997. He really damaged the image of chuuni, just like Miyazaki Tsutomu did to otakudom. But his existential sentiment of “self of transparent existence (透明な存在のボク)” resonated strongly in many young hearts, including mine. Here, the word “helplessly” is the key. Helplessly = madly (狂気の). 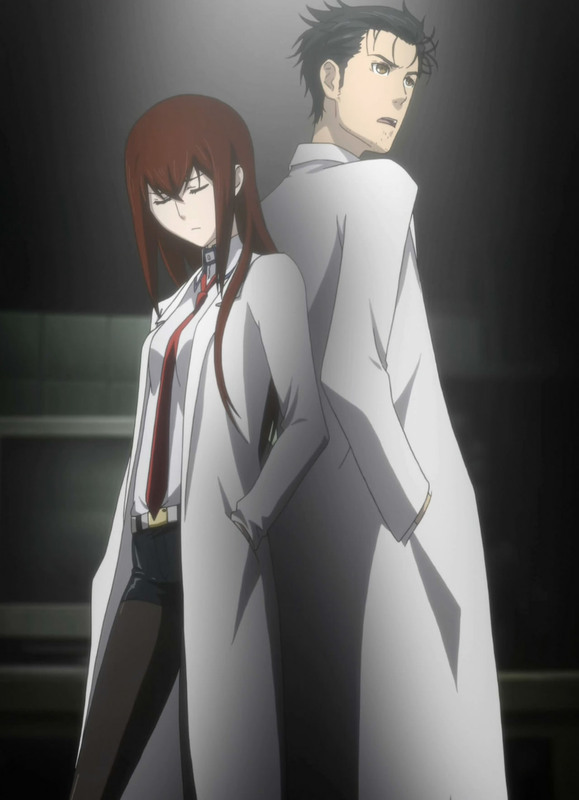 So, yes, “I’m helplessly a mad scientist” means “I’m madly a mad scientist! (俺は狂気のマッドサイエンティスト！) ” So, Kolya’s choice of words “helplessly” is the same with Okarin’s choice of words “mad (die-hard, 狂気の).” “I’m madly a mad socialist! (俺は狂気のマッドソーシャリスト！) ” “I’m madly a mad anarchist! (俺は狂気のマッドアナーキスト！)” This kind of rhetorical exaggeration is so chuuni! So is the writing style of Dostoyevsky! 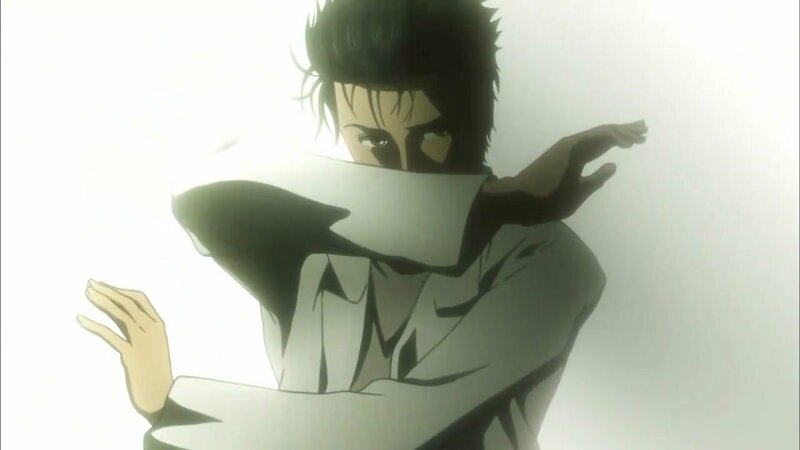 But when Okarin debates Christina Makise on science, he is totally beaten down to death, just like Kolya completely lost the debate to Alyosha. After all, he’s just a chuuni. A pedant is no match for the real expert. But later on, his Chuunibyou delusions would be…well, let’s stop the spoilers right here. So, Steins;Gate is indeed an existential anime, because Chuunibyou itself is very existential. Let our existence engage! Oh, yes, I forget. Utena is also a chuuni; she imagines herself as a prince who is going to revolutionize the world. So yes, we are “the herd of eternal youth.” That’s what Hitler called it with contempt. The herd of Chuunibyou patients. But who cares! Let them laugh at us, “You still keep dreaming.” So what! We are otakus! Nothing wrong to be dreamers! Don’t they also celebrate Martin Luther King’s birthday? Chuunibyous of the world, unite! I actually have an idea about doing an audio column about Moe, Innocence, and the Kingdom of God…but I’ve got other article ideas first! But now, you’re a real intellectual, a chuuni has grown up to be the real expert, which is awesome! Relationship between chuuni and expert is like Bodhisattva and Buddha. Yes, I’m looking forward to your audio column! Moe, Innocence, and the Kingdom of God? Well, you’re giving it, so I’m sure it will be less wacky than Let’s Bible! I am not quite sure if I should tip my hat off to you, you’re writing about discovering god when reaching a certain age of maturity. I am thinking that people definitely want to experience things.. either they embrace or turn away. Totally agreed. Yet, it’s rather a writing about “how cool I am” to discover god, a distinctive incurable trait of chuunibyou, which infects us all otakus. So, you should tip your hat off to me. But here in America, many chuunis seem to discover Dharma as an apostate’s alternative, “I…I’m helplessly a Buddhist.” Just like I was an apostate to Buddhism and found Christianity as my spiritual alternative back in Japan, “I…I’m helplessly a Christian.” How I wish I could go to mission-kei girl school, if only I was a girl…Anyway, I should tip my hat off to Gendomike, for inspiring me to write this article. Im going to enter the ethereal horizon .. you‘ll see .. chii ..